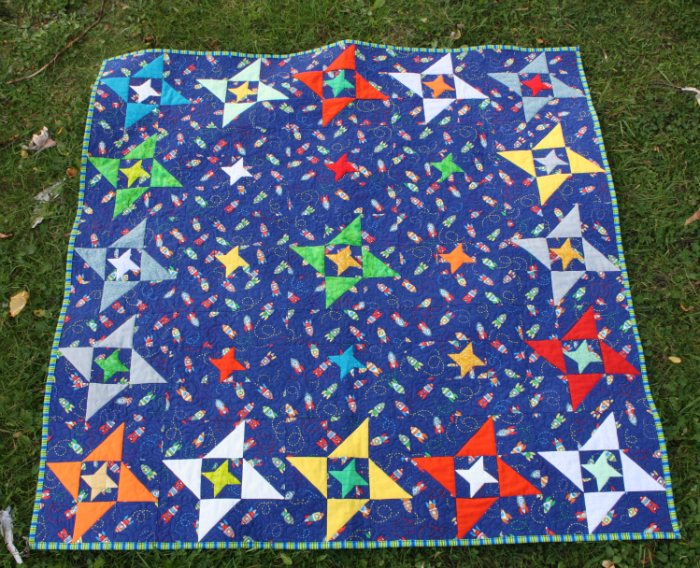 This PDF pattern includes 4 quilt layouts - a 45" square baby quilt (pictured), an 11 1/2" x 29 1/2" skinny mini quilt, a 29 1/2" mini quilt and a 65 1/2" x 74 1/2" throw size quilt. It is made with traditional piecing methods and is suitable for an intermediate or confident beginner quilter. The pattern also includes colouring pages of all 4 quilt layouts to help you decide how you want to arrange the fabrics in your quilt.